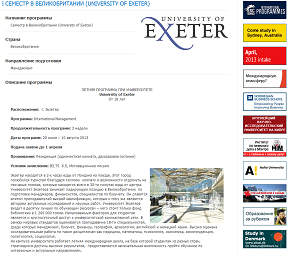 Welcome to www.StudyAbroad.ru» - leading web-resource on International education for Russian-speaking community and an information system which allows the prospective students to get in contact with International educational institutions. 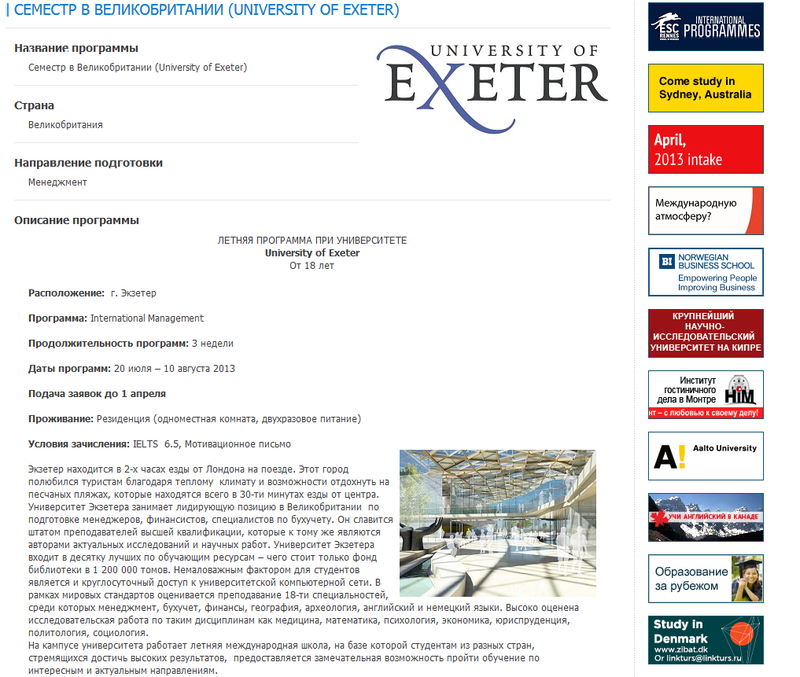 NEW: One Year Plan to Recruit up to 10 Russian speaking students per year via StudyAbroad.Ru: website, e-newsletters. 1. Free listing for your educational institution. You may add unlimited number of educational programs/majors of your school or college after registration. - Top positions in search results for our system. Listing includes: school/university's name, address, telephone and fax numbers, e-mail, a link to your web site, school profile (up to 500 words), information on financial aid and cost of tuition and 2 pictures, and a link to your web site.